USA made a bold move in 2012 by shaking up its "blue skies" formula (which yielded hits like Burn Notice and White Collar) and debuting a dark summer series. 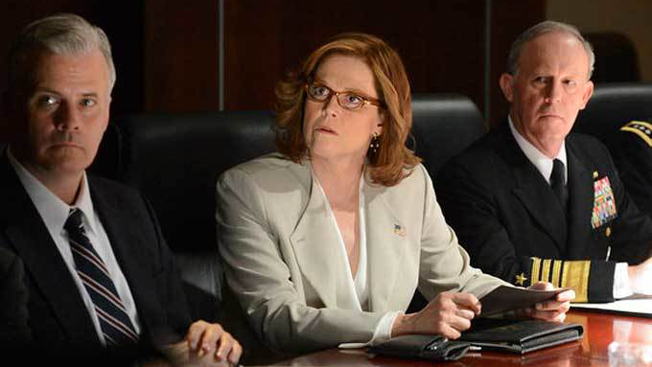 Political Animals, a drama starring Sigourney Weaver, attracted lots of attention, critical accolades and several awards nominations. What it didn't draw was viewers, and the network pulled the plug a few months later. History repeated itself again this year with significantly different results: USA gambled on another edgy summer drama, Mr. Robot, which became a critical darling—I picked it as the best new show of 2015. But instead of being an outlier as Political Animals was, Mr. Robot seems to represent a new path for the network, which renewed it for a second season even before the first one debuted. Bonnie Hammer, chairman of NBCUniversal Cable Entertainment Group, said that Political Animals' premature demise set the network along the path that led to Mr. Robot. The political drama starred Weaver as a thinly veiled version of Hillary Clinton: a former First Lady who served as Secretary of State after coming up short in her own presidential bid. But if Political Animals hadn't been so short-lived, the network may never have been in a position to take a chance on the hacker drama Mr. Robot. "Political Animals was before its time: a little darker, a little edgier," said Hammer. "The audience wasn't ready for it. Those who were coming for Royal Pains and Suits were not ready for cocaine-addicted kids, a heavier hand in politics and for cloudier, edgier [material]. They weren't anti-heroes, but they weren't all nice and pretty and 'blue skies.'" So USA retreated, canceled the show and retrenched. "[We] realized that we had to figure out: 'What does it mean to have some clouds in the sky, and how cloudy and edgy can we go?'" said Hammer. "We took a few swings at bat, we didn't nail it with the first couple, to be honest," said Hammer, citing Rush, USA's 2014 medical drama that quickly came and went. "It was an interesting, dark character in the medical world, but so what? Been there, done that before." Instead, Hammer and her USA team realized that "we wanted to nail something in the zeitgeist," she told Adweek last month. "And that's where Mr. Robot came." While Hammer said Political Animals was premature for the network, creator of the series Greg Berlanti disagrees: "I think they were more ready for it than they may realize," he said. "They did a wonderful job of promoting the show and getting out there about it, and I think a lot of the right people found it. I think it was just when it aired, it was in the middle of the summer behind Law & Order reruns on Sunday nights at 10." USA canceled Political Animals that November, but Berlanti said that execs were already having second thoughts as the show racked up Golden Globes and Screen Actors Guild nominations the following month (it was nominated for five Emmys in 2013, with Ellen Burstyn winning for supporting actress in a movie or miniseries). "They were already coming up to me and saying, 'We're sorry, we shouldn't have done that. We wish we had hung on to it,'" said Berlanti. Even as Hammer is basking in the current success of Mr. Robot, she sees Political Animals as the show that got away. "Sigourney Weaver, she was amazing. The cast was really strong," said Hammer. "If that were now, I think we'd have a great chance." Berlanti, however, takes a different view. "It was what it was supposed to be," he said, noting that if the show had continued, perhaps he wouldn't have gone on to his incredible run of successful series—he currently oversees six shows, including Supergirl, The Flash and freshman hit Blindspot—which led Adweek to name him TV Producer of the Year. "The only thing I'm regretful about is that we had a really cool idea for the second season," which included a potential presidential run for Weaver, he said, "which now, is even more topical politically. So that would have been fun."